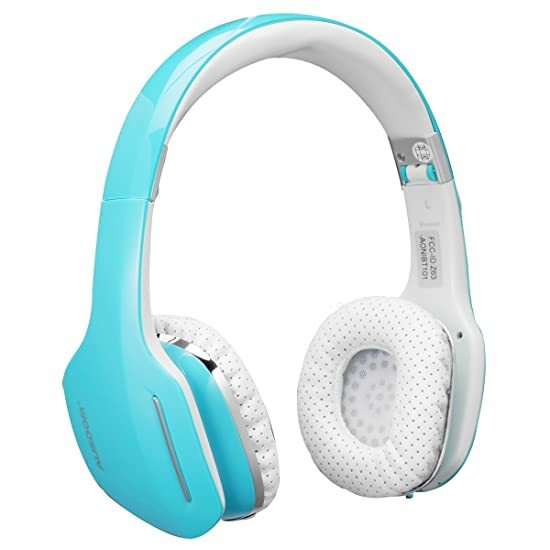 Highest-grade padded leather headband and ear pads for maximum user comfort. Foldable and portable carrying design. Supports wired connection with 3.5mm line-in port. 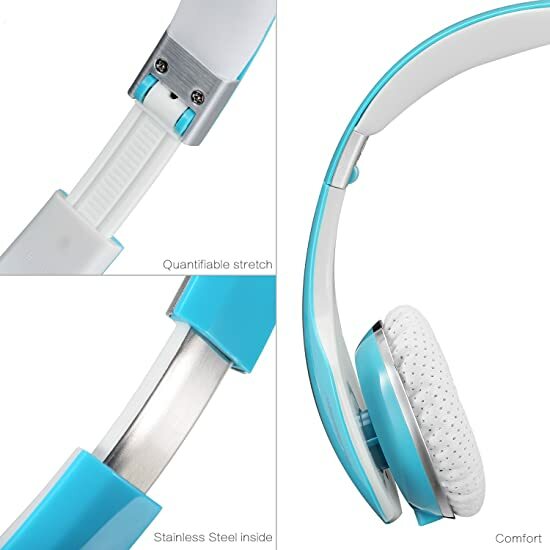 Supports wireless Bluetooth connection for use with your smart phone, tablet or computer. Clear sound gives you long-term comfort. Exquisite sound, good high frequency extension, rich in details. High degree of separation, and full stereo feeling. 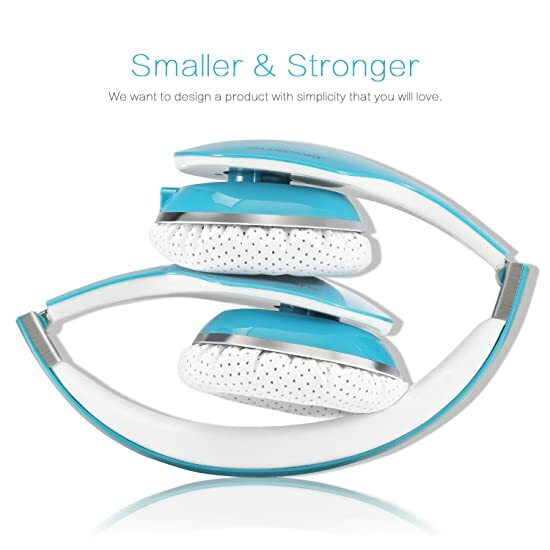 Fashionable Design - The earmuffs are made of soft leather-type material that has a specific perforation design which prevents the concentration of heat and moisture. The secure and comfortable on-ear fit of these vented ear pads allows a comfortable all-day wearing experience. 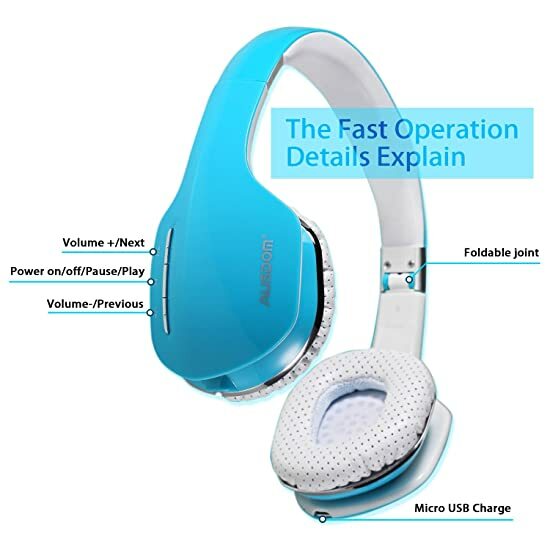 Multi-Functional Headset: These Ausdom Bluetooth stereo headphones can be used both wired (audio only) and wirelessly with phones, tablets, and computers. Built-in microphone and button controls for phone calls, volume, and music playback. 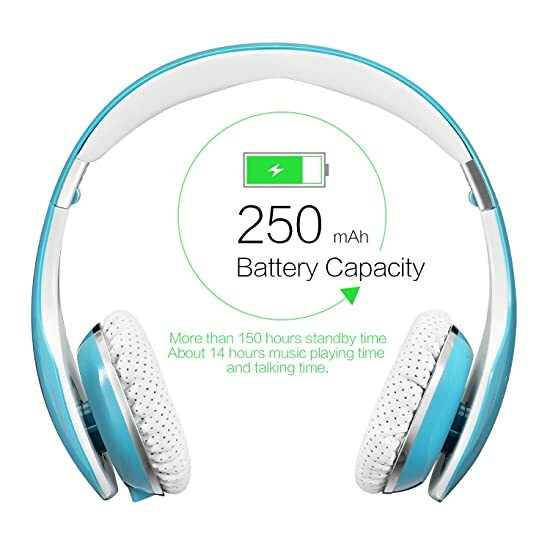 Long Battery Life: Built-in 250mah rechargeable lithium battery which provides 14 hours of talk/media playback time, 150 hours of standby, and will provide you with real-time battery level indication on compatible iOS and Android devices. 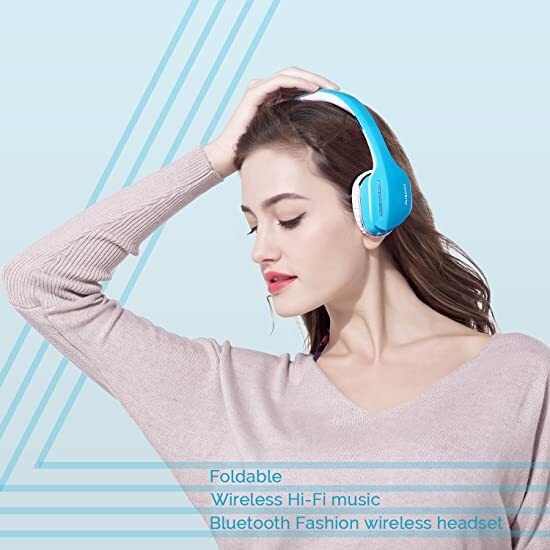 Modern Life Companion: Use these Ausdom Wireless On-Ear Headphones with the iPhone, Android mobile phone, smart TV, computer, iPad or any other bluetooth devices. Easy wireless (or wired) connection and compatibility with all modern digital devices. 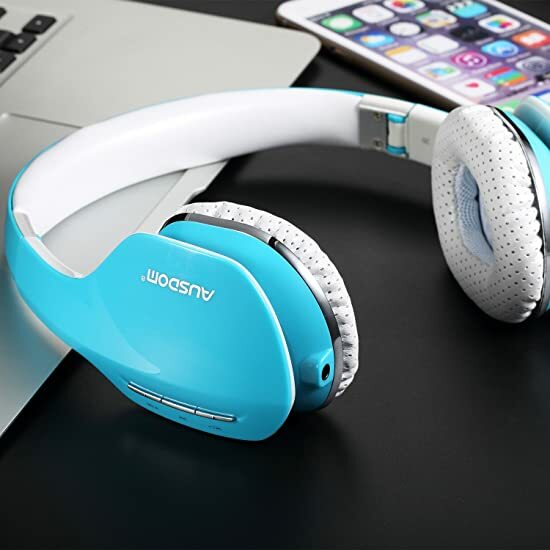 Excellent Performance: The Ausdom M07 headphones have excellent low frequency and high frequency band performance. 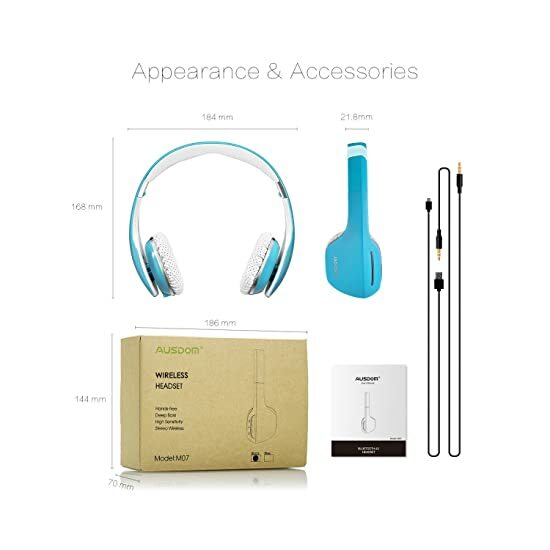 All kinds of music, from classic rock, jazz, big band, and hip-hop will benefit from the sound crystal-clear in-ear speakers of these Ausdom bluetooth stereo headphones.